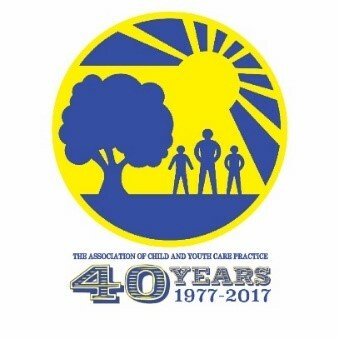 The Association of Child and Youth Care Practice (ACYCP) and the Child & Youth Care Certification Board (CYCCB) proudly announce that they have become Supporting Organizations of the Council on Accreditation (COA). COA Supporting Organizations are separately incorporated, not-for-profit organizations with purpose and value statements that are consistent with that of COA’s and with an interest and means to promote quality services. 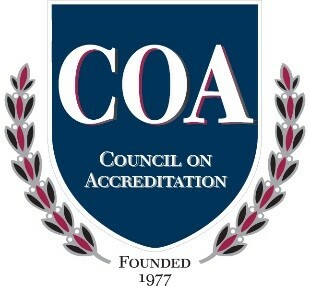 COA has included Child and Youth Care (CYC) Certification as a way to satisfy staffing credentials in a variety of the COA standards. Certification is listed in the Out of School Time (OST) Standards referenced in sections describing qualifications for site directors, senior group leaders, and group leaders and is included across all editions of standards: Child and Youth Development, Private, Canadian, and Public. CYC Certified practitioners are professionals sanctioned by the professional CYC community who have completed the most rigorous demonstration of competence in the field. CYCCB provides an assessment process and certification to child and youth care practitioners who demonstrate their commitment to high standards of care and ongoing competence development. Engaging in the certification process connects practitioners, endorses higher standards of practice, and promotes on-going professional development. In recognition of Dr. Dale Curry’s long tenure on the board and contributions to CYCCB and CYC Certification through his work as Independent Investigator for the North American Certification Project and Director of the International Institute for Human Services Workforce Research and Development, CYCCB is establishing the DALE CURRY CERTIFICATION SCHOLARSHIP. Scholarships include both testing and application processing fees at any level. Additional scholarships may be added by individuals who donate funds to support them. The Academy for Competent Youth Work is donating $1,000 so far in Dr. Curry’s name. CYCCB is making these scholarships available to Dr. Curry to donate to the group or program of his choice. Once a designation has been made, these scholarships will be managed by the group or program Dr. Curry has designated. Conditions for awarding the scholarships shall be set by Dr. Curry or the group designated. 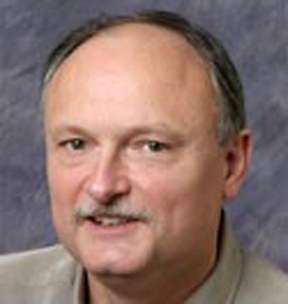 A contact person will be designated by Dr. Curry. This person shall be the contact with CYCCB. When scholarships are awarded, the contact person will notify the CYCCB Office. The Office will assign a voucher number associated with the Curry Certification Scholarship. This number will serve in lieu of payment. CYCCB plans to reduce its costs by having CYCCB board members, advisors, or others donate their time to conduct testing and assess portfolios. Pam Clark has agreed to donate her time to support this effort. If you would like to donate money to this scholarship or to CYCCB, click donate now or go to the donate page on this website. If you would like to donate your service to this scholarship, please contact the CYCCB office for further instruction. CYCCB will be accepting donations for this scholarship through the end of the year. Dr. Dale Curry has given much for youth care in many ways. He is researcher, board member, presenter and friend. May he find time for himself and family as he enjoys his retirement. From all of us in youth care, Thank you Dale, for all you have done. CYCCB and the CYC Certification Institute are combining the three level certification program under the umbrella of CYCCB. Beginning in 2018, the renewal system offered by the two certification organizations is being revised. Practitioners certified by either organization will have expanded opportunities to participate in and benefit from the certification system. As the integration of the Entry, Associate, and Professional certification programs is underway, CYCCB and the CYC Certification Institute are offering an amnesty period between March 15 and August 31, 2018. During this period, practitioners whose certification has not been regularly renewed will be allowed to renew their certificates. Beginning in September 2018, certificates that were not renewed on the two year cycle based on the certificate issue date will be charged an additional $50 late fee to renew. Notices are being sent to all certified practitioners announcing the amnesty program. Beginning in 2019, certificates that have lapsed for extensive periods may no longer be renewed. To renew these certificates practitioners will have to repeat the entire testing and application process to be re-certified. 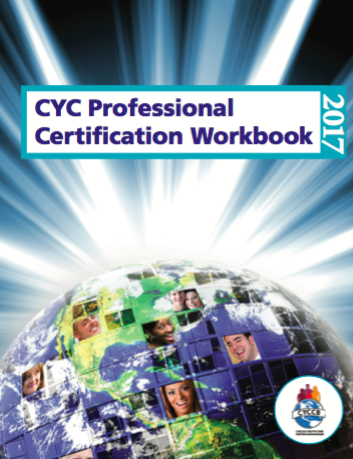 Other changes are also being made to the CYC certification renewal program in 2018. Renewal Period - Renewal of Entry, Associate, and Professional Level Certifications will be completed on a two-year cycle. Professional Level Certifications will no longer require renewal on a yearly basis. Simplified Renewal - Practitioners who renew their certificates within the renewal period (before the anniversary date of certificate issue) for two cycles (4 years) will be granted permission to complete the renewal process without submitting supporting documentation. These files will be randomly audited. Permission to engage in the simplified renewal program will be granted through an email from the CYCCB Office when two complete cycles have been appropriately completed. Price adjustments have not been made to either certification program since 2009. The new pricing is based on a recent study of current costs involved in operating a strong certification program. Some of the revenues will be used to pay Portfolio Assessors, who were previously not paid for their valuable services. For more information, explore the information available on the website or contact the CYC Office. As part of our expansion, CYCCB has moved its offices to a new location. It is just down the street from our previous location but will provide us with much needed extra space to house our new staff and programs. Mail forwarding from our old address is no longer in place. If you mail to the old address it is likely that it will be returned to you or not delivered. Please be sure to use the correct address. All email addresses and phone numbers will remain the same. Our email systems are up and running so there should be no disruption to our electronic communication systems. We have changed the addresses on all of the CYCCB certification forms. Please be sure you're using the most current forms. 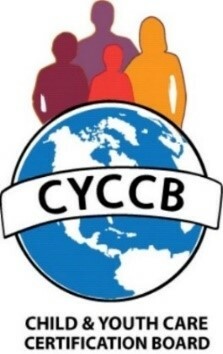 CYCCB is collaborating with a group in Indiana to create a new approach to CYC certification. During 2018, practitioners in Indiana will be able to use an online form to submit applications for CYC certification. Practitioners will complete all required paperwork and submit documentation electronically. The submitted information will be checked by Jeananne Reich, Indiana Certification Director, before practitioners can register for the exam. Once all documentation requirements are met, the CYC office will be notified that the application packet is ready to be reviewed. The Indiana Collaboration is led by the Indiana Youth Services Association (IYSA) working together with major groups in Indiana who support certification. The collaboration includes: IYSA, The Journey, Indiana Youth Institute (IYI), Marion County Commission on Youth (MCCOY), and the Indiana AfterSchool Network (IAN). The work is currently supported with IYSA, The Journey, and the Indiana Department of Education (IDOE) for 21st Century Community Learning Centers. The on-line system is expected to be used by over 300 Indiana practitioners to pursue certification during 2018. Data collection is underway to document the impact of this new approach.